JUNE days | A.B.E. Remodeling, INC.
Just dropping out a note on this lovely day in June. It's just so cheery…with the sun out bright and the blue sky colors with the background of the greens of the trees and grass. Oh, I know there is work to do.. but just for a few minutes.. be thankful for these lovely days in June. Inhale a great breath of summer…then exhale slowly in relaxation. Can you believe that our year is half gone….let's enjoy these days while we can. 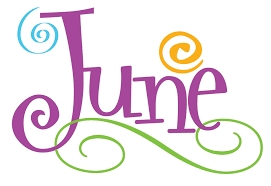 Happy continued June days to everyone.